Stand with the dumbbells hanging straight by your side, with palms facing one another and in front of a step or low bench. Put one of your feet flat on the step. 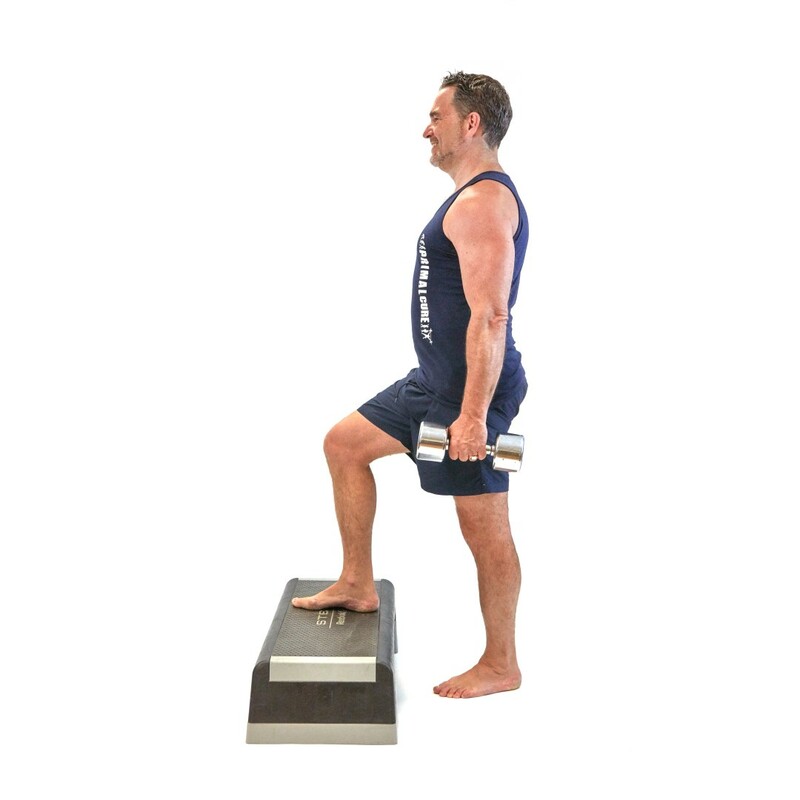 Push your weight into the ball and heel of the foot on the bench and push down whilst deliberately moving the hips forward, continue until your leg and entire body is straight and tall. At the top your trailing leg should be slightly bent and not come onto the step. Slowly and deliberately lower your trailing foot back to the floor, by focusing hard on the muscles in the leg on the bench. It takes practice to learn to balance so start with a light weight. But it is this balance that will also work your core. At no point must the foot on the bench move. 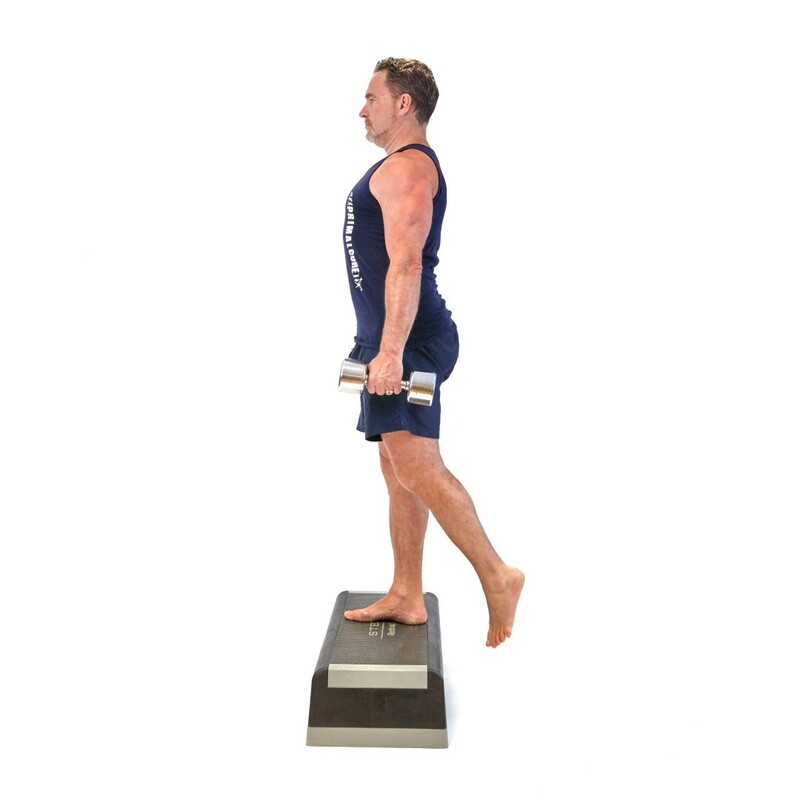 Immediately you max out on one leg, then keep the clock going and move to the other.